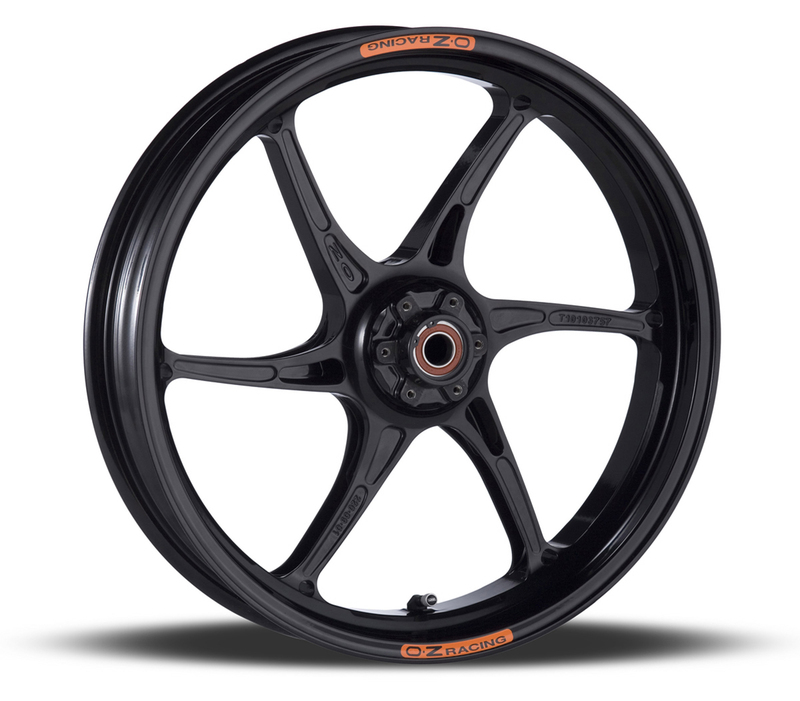 The two main qualities required for a high performance wheel are light weight combined with high strength and OZ achieve this by using forged Aluminium which produces both a stronger and up to a 33% lighter wheel than by casting production methods, or Magnesium which offers further weight savings. 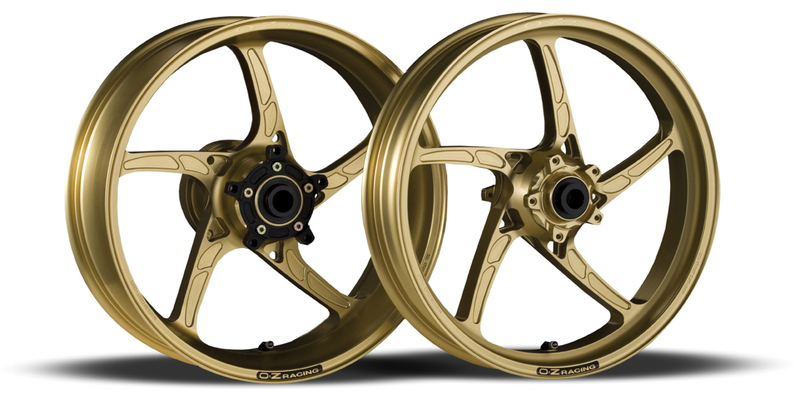 "The machining and build quality of OZ wheels is in a class of its own. 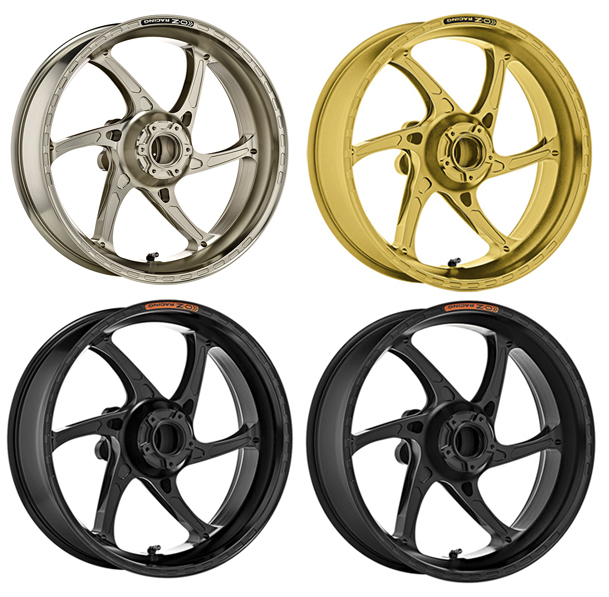 The wheels fit great, feature captive spacers, and have a flawless anodized finish. The wheel weight difference was extremely noticeable and is felt considerably in quick transition areas. Because of the lightness of the wheels the bike was very controllable even mid turn ...it was precise and very easy to point the bike where I wanted without losing a drive on the exit of the turns." So why are light wheels so important? 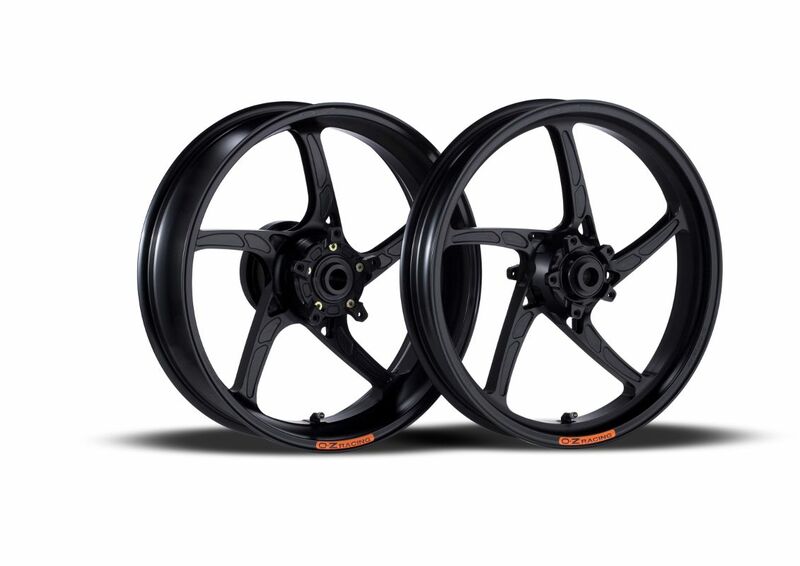 OZ Motorbike is part of the OZ Group, an Italian company which since 1971 has lead the car and motorcycle aftermarket wheel industry. 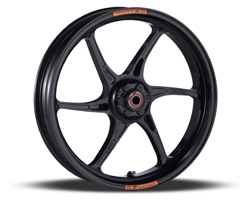 This quality and expertise is recognised in the racing world and OZ wheels are used extensively throughout all levels of racing including Grand Prix, World Super Bike (OZ supply the majority of Moto 2 World Championship teams and the BMW World Superbike team exclusively), the World Rally Championship and Formula One. *Please note that due to their further reduced weight and therefore strength, Race only wheels are not approved or suitable for road use. HPS supplies OZ wheels complete and ready to fit; i.e. with all bearings and spacers pre installed, replacement light-weight sprocket carrier, cush drive and high-tensile Aluminium alloy sprocket, where required. 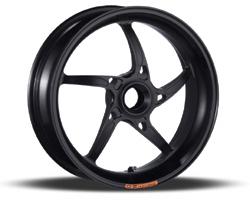 ...OR CALL 01773 831122 TO ORDER YOUR O•Z WHEELS TODAY!